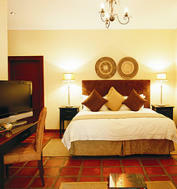 The nearest town is Bela-Bela, well known for its hot mineral springs. 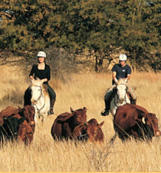 Over the years Sondela Nature Reserve has grown to become one of South Africa's premier privately held nature reserves. Ambitious management have resulted in a game reserve and family resort today that is known for its great hospitality, quality accommodation and friendly service - a sought after family holiday destination. Game viewing in open vehicles affords guests the opportunity of viewing fauna and flora, whilst traversing the undulating hills, following river courses and open savannah plains. The Sondela Country House is the jewel in the crown for the already versatile accommodation profile that this pristine Bushveld game reserve has to offer, both in its aesthetics and in its impact. The result is a truly unique fully serviced boutique hotel that offers the seclusion of the African bush, yet with the small luxuries that make for a relaxing and invigorating game experience. The cuisine served at Sondela Country House, is a superb fusion of African flavours. The chef offers a menu to surpass the expectations of even the most discerning diner. 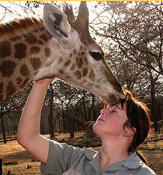 Sondela Wildlife Centre, a registered rehabilitation centre which cares for sick, injured or orphaned wild animals. Visitor's personal interaction with the little animals provide countless, unforgettable magic moments. 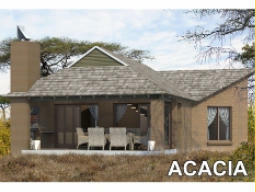 The Sondela Wildlife Centre aims to improve the welfare of wild animals and create awareness of the challenges faced by wildlife. The Wildlife centre has a International wildlife volunteer program where the volunteers interact with wild animals and has the opportunity to go on horse safaris, game-drives, game capturing, animal husbandry and farm yard activities. 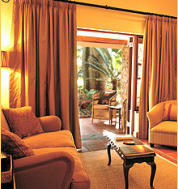 Come experience peace and tranquility in the heart of the Bushveld. Sondela Nature Reserve… it's a way of living!